Deciding on Big Island Hawaii hotels is one of the most important decisions when planning your trip. This isn’t just a matter of deciding which hotel might be best for you, but also first deciding whether a hotel is the best choice for your accommodations overall. Hotels are the standard place to rest your head between trips to the Big Island's best beaches and the amazing volcano sites, but they aren't the the only option for accommodations on the Big Island. The goal of this page isn't to find the best price on a hotel room, rather to decide whether staying at a hotel on the Big Island is a good choice for your trip, and then thinking about which part of the Island you should focus on in your hotel search. From there, you'll be in a good position to log in to your favorite travel site, compare prices, read reviews, etc., and choose the hotel that's right for you. For Big Island Hawaii hotels, as with many other places, the reasons for choosing a hotel over other options for accommodations are familiar: hotels tend to offer more services and amenities, you don't have to make your own bed and can rely on housekeeping and turndown services to keep your room tidy and comfortable, there are also few surprises because the all of the rooms and units tend to have the same overall quality (which is not necessarily true with condo rentals, for example), there are also no steep cleaning fees for hotels. Then there are some general reasons why a hotel might not be the best choice for you: when you stay in a hotel you are eating all your meals at restaurants (or via room service) and that can get expensive, you also might not have separate living areas in your room so it becomes just a place to rest your head instead of a home away from home where you can enjoy a comfortable living space. Beyond these general concerns, there are some Big Island specific reasons for and against choosing a hotel. The biggest of these is related to location. If you want to be able to walk right from your room to a long, wide sandy beach, then a hotel might be your best option. Or, if you want to be as close as possible to the Hawaii Volcanoes National Park, then a hotel might be a good option too. You'll also want to think about the kind of trip you have in mind. If you're a family of five, staying in a hotel might get expensive if you need multiple rooms—you might be better off choosing a vacation rental like multi-bedroom condo or even a single family home. These kinds of rentals also allow you to save a lot of money by eating some meals at home—fresh fruit and cereal are easy to have on hand for breakfast and serve out of even a small simple kitchen, for example. So, staying at a Big Island Hawaii hotel might be the best choice for you if you want to be as close as possible to some of the best beaches, if you're looking to be pampered, and you don't mind eating out for most of your meals. With this in mind, the following is an overview of a few of the main areas on the Big Island of Hawaii where hotels are readily available for your stay. The Big Island's Kohala Coast is located on the north west part of the island. It's the area that gets the most sun and where you'll find the best beaches. This is also where you'll want to be if walking out from your room onto a long sandy beach is part of your dream for a Big Island vacation. Because of these big benefits to staying in the Kohala area, these hotels tend to be the most luxurious (and expensive!) on the island. They are also some of the larger hotels, with hundreds and hundreds of rooms to meet the high demand for their premium locations. Another thing to keep in mind when considering Big Island Hawaii hotels on the Kohala Coast is that you'll be somewhat far from the restaurants and shopping in Kailua-Kona (about a 30 minute drive away), and very far from the Hawaii Volcanoes National Park (about a 2 hour drive). But when you experience the luxury and location of these hotels, you might not want to leave anyway! Koahla Coast hotels are better thought of as resorts—all of which include easy access to spa services, excellent dining, golf, tennis, other sports, and many more services. These resorts are also popular for beautiful destination weddings and conferences! Properties like the Four Seasons Hualalai, the Fairmont Orchid, and the Hilton Waikoloa Village all offer high-end oceanfront luxury on the Big Island. These resorts all have smaller sandy beaches built onto rocky shores. On the other hand, the Hapuna Prince and the Mauna Kea Beach Hotel are situated on the two longest stretches of sandy beach on the Big Island. Of these two, Hapuna beach sees the most visitors because at the other end of the beach from the hotel is a public beach park with ample parking. Mauna Kea beach is more remote but, as with all beaches on the Big Island, there must be public access. So all hotels have to offer access to the shore to anyone (this doesn't mean unlimited access to amenities like beach chairs or parking, however). For questions about hotel beach access, you're best to contact individuals hotels for their parking and access policies. 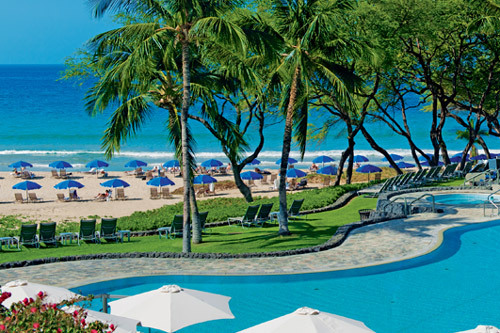 Recommendation: The large and luxurious resort hotels of the Kohala Coast might be your best option if you're looking to get away from it all, enjoy fine dining and golf, and if you're not on a restricted budget. For more on enjoying the best beaches on the Big Island, check out our Beach Guide. 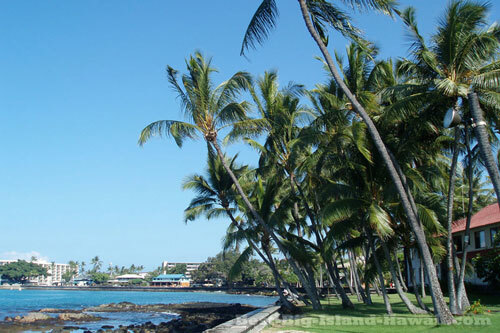 Kailua-Kona is the hub of activity on the sunny west side of the island. It's also the site of many good Big Island Hawaii hotels, especially if you're looking to be close to lots of options for activities and dining. While there are some larger hotels in Kona, these properties are not as large as the sprawling resorts on the Kohala Coast. Many of the hotels here date from the big boom in Hawaii tourism in the 1960s and 70s. Of course they've seen many updates since then, but they still offer a nostalgic vibe of an older Hawaii tourism scene. Staying at a hotel in Kona means you're close to the action and can easily walk along the sea wall and enjoy the town on foot, with many options for shopping and dining to choose from. One of the downsides of staying in Kona is that you're a 30 minute drive away from most of the best beaches. This means that a car is a must if you want to get to these beaches (this is generally the case with visiting the Big Island, no matter whether you're staying in a hotel or a vacation rental). Choosing a Kona hotel can save you big money though, with prices generally less than half the cost of rooms in the Kohala resorts. Well known properties in the Kona area include the centrally located Royal Kona, the Marriot King Kamehameha, and Uncle Billy's Kona Bay Hotel. 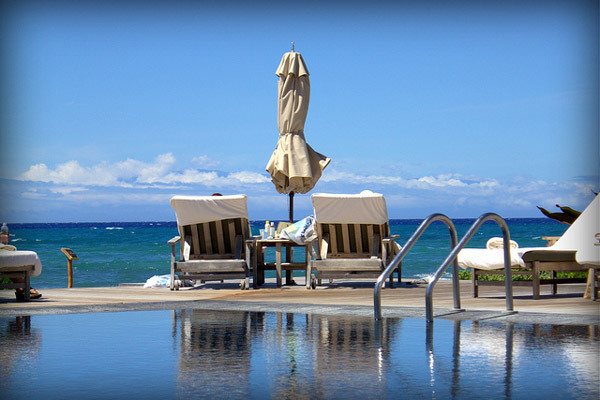 Somewhat more secluded options include the Sheraton at Keauhou Bay. Recommendation: Consider a Kona area hotel if you're looking to save a little money compared to the high end resorts, would like to be centrally located, and still would like the convenience of a hotel experience. The town of Hilo is located on the east side of the Big Island of Hawaii and hotels here are fewer and further between with mosts tourists opting for the sunny Kona side. That being said, Hilo has its own charms and offers very reasonalbly priced accommodations at hotels like the recently updated Castle Hilo Hawaiian Hotel, the Hilo Naniloa, and Uncle Billy's Hilo. Recommendation: Hilo hotels are a particularly good bet if you want to explore the lush rainforest areas (like waterfalls) on the island's north and east coasts, or if you want to be closer to the volcano sites and but still around lots of dining and shopping. One of the biggest tourism draws on the Big Island is the Hawaii Volcanoes National Park and related volcano sites. So it's no surprise that there are Big Island Hawaii hotels that specifically cater to the volcano visitor. Located in the south east corner of the island, these smaller hotels offer comfortable and very affordable accommodations for those looking to be as close as possible to the sites, sounds, and smells of Big Island volcanic activity. 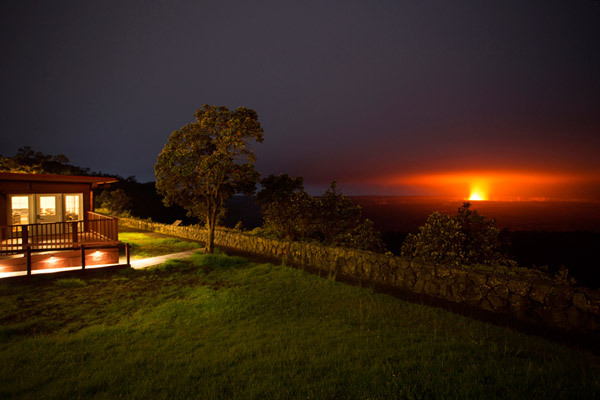 Volcano area hotel options include the Volcano House, which is inside the national park and has a spectacular views of the Kilauea crater itself, as well as the nearby Volcano Inn and Kilauea Lodge. Recommendation: Choose a volcano hotel (maybe even for part of your trip) if your main goal is to visit the volcano sites. Your tired feet will appreciate not having to drive 3 hours back to Kona! Is a Big Island Hawaii Hotel Right for You? With this overview, hopefully you're in a good position to choose the Big Island Hawaii hotel that's the best for you—or maybe to look into another option like a timeshare, a vacation rental, or a bed & breakfast. Choosing the right accommodations comes down to expectations, price, and location. Before booking your Big Island hotel, take the time to think about what kind of trip you have in mind, what activities you most want to enjoy, and how much you want to spend. A little thought ahead of time will help ensure that you get the most out of your visit!